Toujours is classic and fresh wedding theme which has a simple and elegant design that’s perfectly fit for planning up to the sharing moment from your wedding. The theme features a large slideshow, a unique layout, and a special Guestbook template. You can add a map to your venue, collect RSVPs, or create a page with pictures taken from your wedding Instagram hashtag. You can also add specific posts in the Featured Content Slideshow and highlight the three most recent posts in a special area on your blog page. It supports a number of different Post Formats with unique styles to help them stand out. 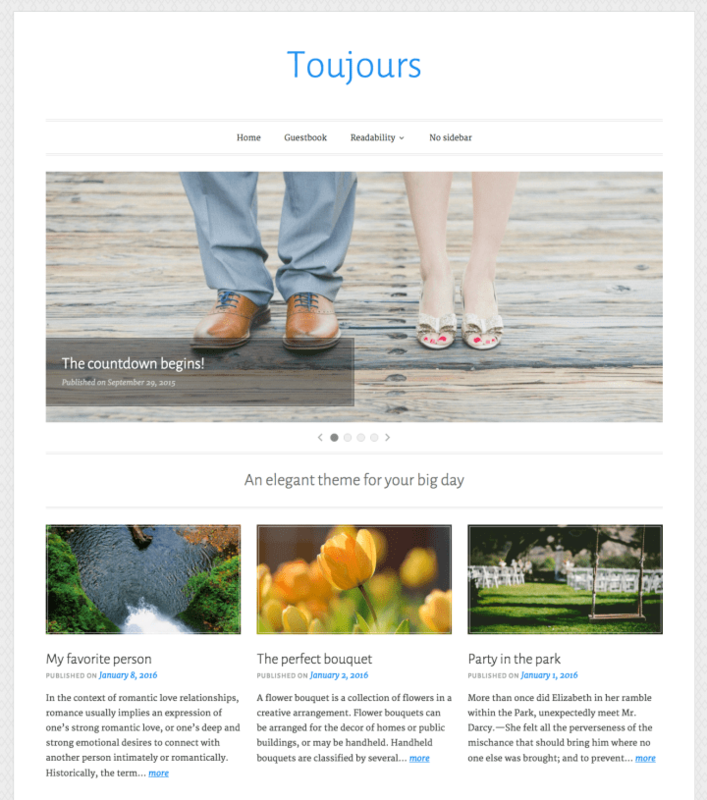 Toujours theme looks very good on any screen, big, or small with its responsive design. For further information about theme Toujours, check it out here.